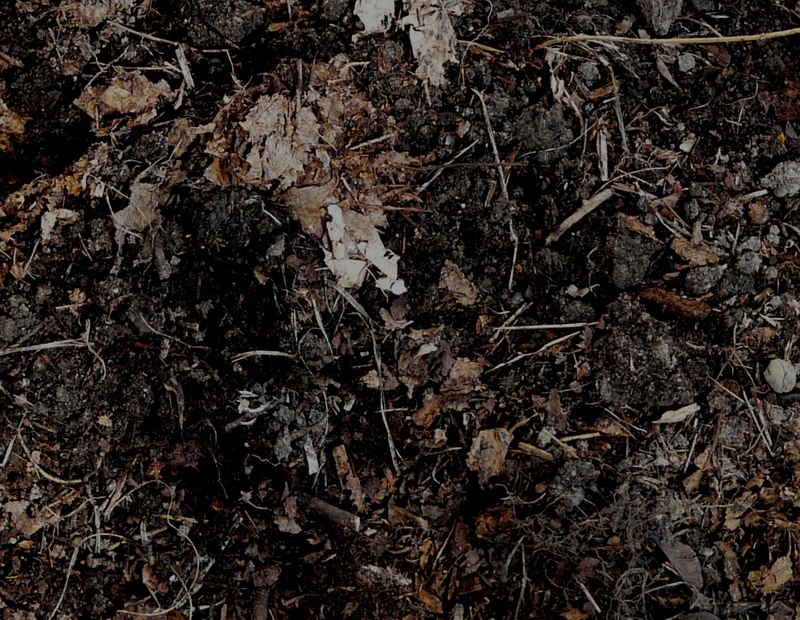 Composting leaves is so easy and you get perfect planting soil, for free! Every fall I see lots of home owners spending time and money to rake the leaves off the lawn and stuff them into dozens of plastic bags. In spring they spend again money and rush to the stores to buy piet-moss based planting soil. 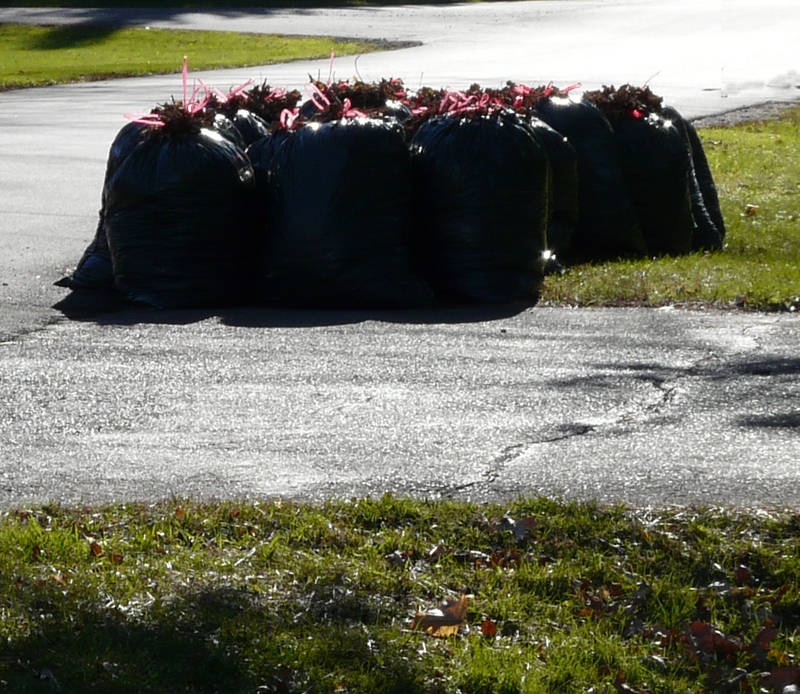 Bags full of leaves ready for pick-up, a real loss for your garden. There is a much smarter way of gardening. All you need to do is to reserve a small sunny corner of your garden to store the leaves. Rake the leaves in the fall off the lawn and just pile them up in that corner. You can as well collect them with a lawn mower in the lawn mower bag and empty the lawn mower bag in the place where you want to compost them. Note however that a composted grass or a mix of leaves and grass smells a bit during the first week of composting. A pile of leaves in a sunny corner of your garden. They will turn into the perfect compost within 5-8 month. 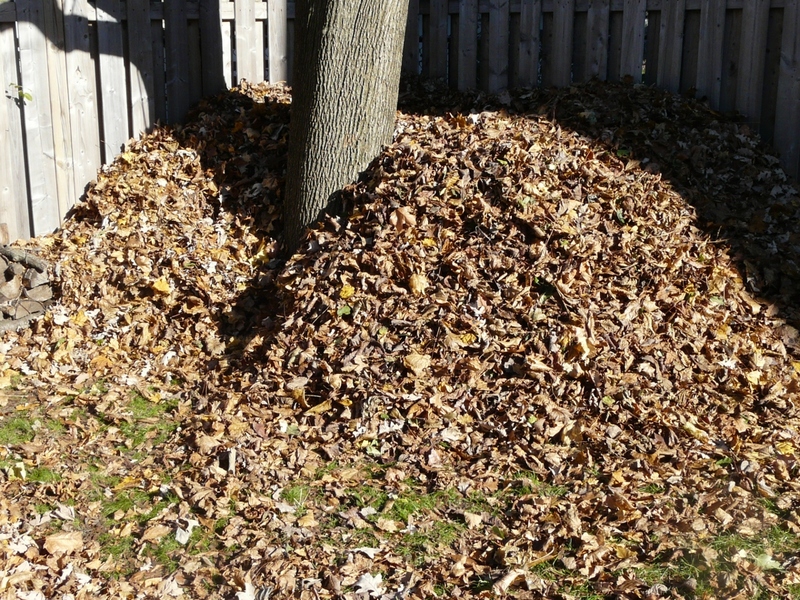 The bigger the pile of leaves the better. It has to be warm inside the pile of leaves for them to transform into compost. It helps if the leaves are exposed to the sun. The leaves on the outside of the pile will mostly just get dry but inside the pile you will get wonderful planting soil. 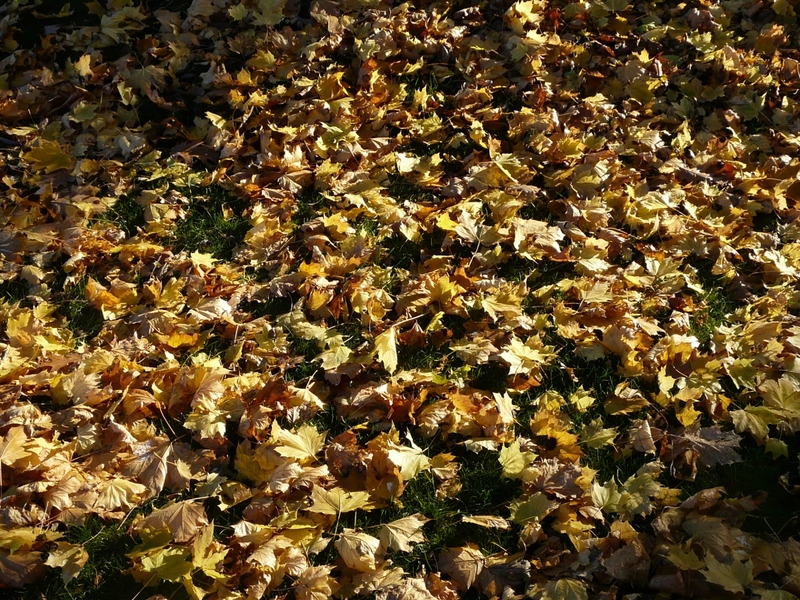 How long this process takes depends on the climate, how warm it is, the size of the leaf pile and the type of leaves. A rough estimate is 5-8 month. Many people think of composting as a messy operation. That's really a misconception. It depends on what you compost. Leaves don't make any mess and they don't smell. It's a wonderful way of maintaining the cycle of life. Piet-moss, the stuff you can buy in bags at the garden center, has a uniform color but it is actually dead soil and slightly acidic. Plants can't really use it. Companies that make this "planting soil" have to add fertilizer. Without the fertilizer only the most persistent weeds would grow on piet-moss. Composted leaves can be used in a similar way as piet-moss but they are very fertile. This is the resulting compost made out of the leaves piled up last fall. 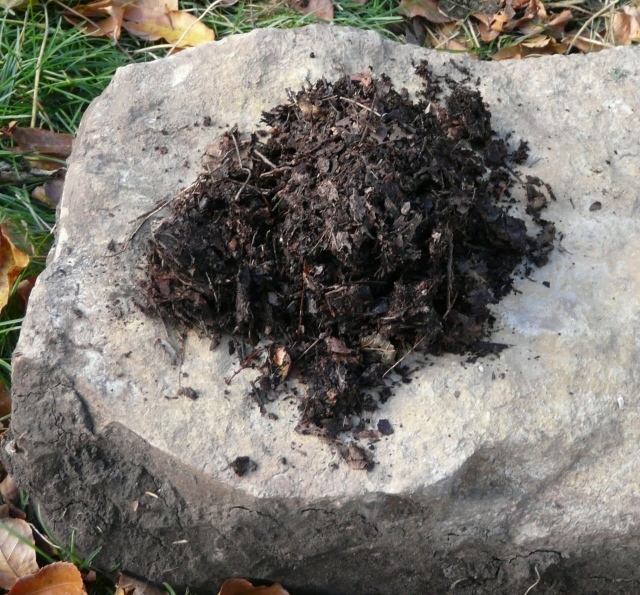 The composted leaves will sometimes still look a bit like leaves but they are very brittle. Just mix them a bit with a rake and you will get a uniform looking planting soil.